If you’re looking for a fun way to help out a great cause this October, why not come out to one of two events benefiting Make-A-Wish Southern Florida? You can cheer on a soccer team at Kick It for Wishes on Oct. 10, or grab your clubs for the Key To Wishes Golf Tournament Oct. 18. Both events are fun all on their own, but have the added benefit of helping Make-A-Wish Southern Florida grant more wishes. On Oct. 10, you can bring your family out for a day full of fun at Kick It for Wishes hosted by the Teleperformance Sport Club. The tournament runs all day, from 9 a.m. until 8:30 p.m. at the Tamarac Sports Complex (9901 NW 77th St.) in Tamarac. Not only will you get to see some great soccer, you’ll also be supporting Make-A-Wish Southern Florida by attending. Beverages and other refreshments will be available for purchase as well, meaning you can stick around at the tournament for as long as you like. All of the proceeds from the tournament will benefit Wish Kids from Southern Florida! A Key To Wishes is a can’t-miss golf tournament being hosted by Key Real Estate Advisors on Oct. 18. 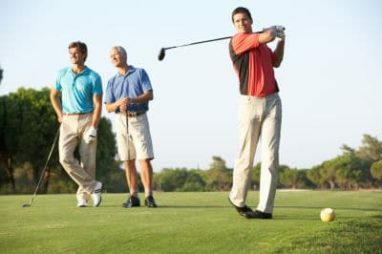 The tournament takes place at the Verandah Golf & Country Club (12211 River Village Way) in Fort Myers. You won’t want to miss your chance to golf at this beautiful golf course! In addition to the tournament, all participants can enjoy a great lunch. Registration is available for $125 per player. To contribute even more, you may want to consider a tournament sponsorship starting at $600. Not only will you get to take part in a great day of golf, you’ll also be supporting Make-A-Wish Southern Florida by participating. 100 percent of the net proceeds go to Make-A-Wish and help them grant more wishes for local children facing critical illnesses. If you would like to register or learn more about sponsorship, please contact Melissa Perrella at Melissa08101969@gmail.com. Did you know that a car, truck, boat, RV or motorcycle donation can help grant a child’s wish? When you donate a vehicle to Wheels For Wishes benefiting Make-A-Wish Southern Florida, you can help Make-A-Wish reach more kids in cities like Fort Lauderdale, Naples, Miami, Cape Coral and more. Wheels For Wishes offers free towing and the maximum possible tax deduction. After getting picked up, your vehicle will be auctioned or recycled and the proceeds from its sale will go to Make-A-Wish Southern Florida. With the help of donations such as yours, children in your community facing critical illnesses can have a wonderful wish to look forward to. To donate your vehicle, please call 1-877-431-9474 or make your donation online with our car donation form. Each car donation makes a difference, so donate today!